The evolution of the tanks in World War 1 was quite remarkable, especially when you consider that they’d never been used in warfare before. Here are all the facts about WW1 tanks; the armoured machines that would change warfare forever. 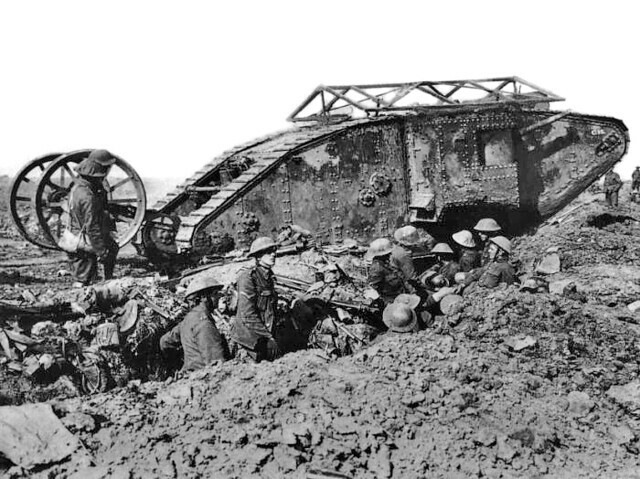 In World War 1 tanks first appeared at the Battle of Flers-Courcelette in September 1916. It was the first time tanks had ever been used in a military conflict. The British sent 49 tanks into the battle. WW1 tanks were very slow and couldn’t exceed 4 miles an hour. Tanks in WW1 played an extremely important role as they increased mobility on the Western Front and eventually broke the stalemate of trench warfare. By 1918 Britain and France had produced 6,506 tanks between them. Germany had produced just 20. 6 days before the end of World War 1 the British Tank Corps only had 8 tanks left.